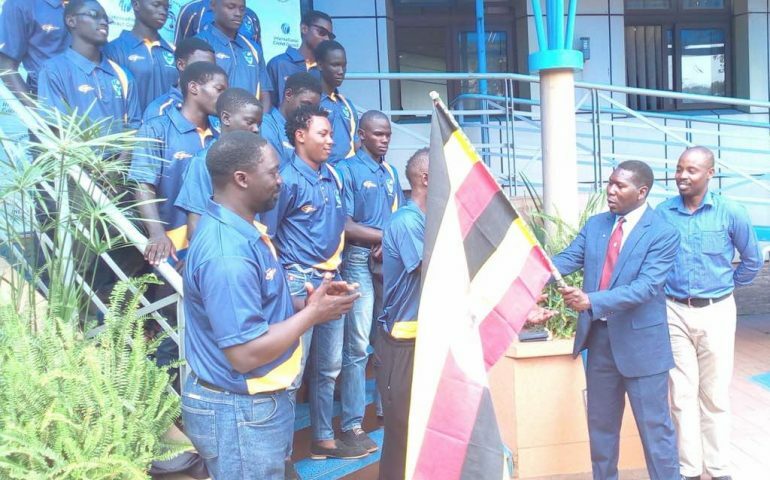 The Uganda U19 National Cricket team traveled to Nairobi, Kenya yesterday evening to compete at the Global Youth Tournament hosted by Star Field Sports at Ruaraka and Gymkhana Cricket Grounds. The under-age tournament will run for three days, starting on 22nd (Wednesday) to 25th of this month. The team captained by Frank Akankwasa prepared for the tournament by beating up on their Nigerian counter-parts 4-1 in a 5 match series. The Under 19 Cricket Cranes will be in Group B with Cutchi Leva, Kanbis and Swampipaba. The Global Youth Tournament will also act as a warm up for the Under 19 Africa Division 1 qualifiers slated for early 2019. Michael Ndiko (Coach), Emmanuel Issanez (Assistant Coach).